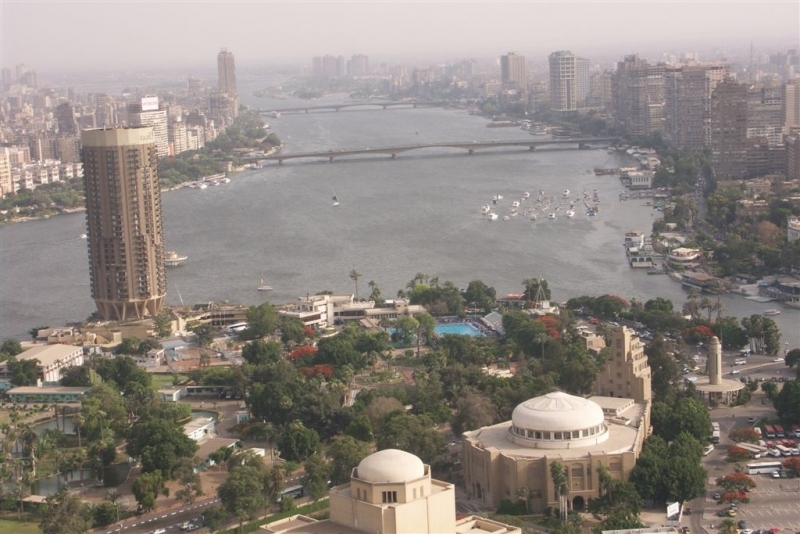 Cairo the Capital of Egypt, is located around 222 kilometres (2 hours 30 minutes) from the Mediterranean Coast at Alexandria and sits on the most focal point of the River Nile. 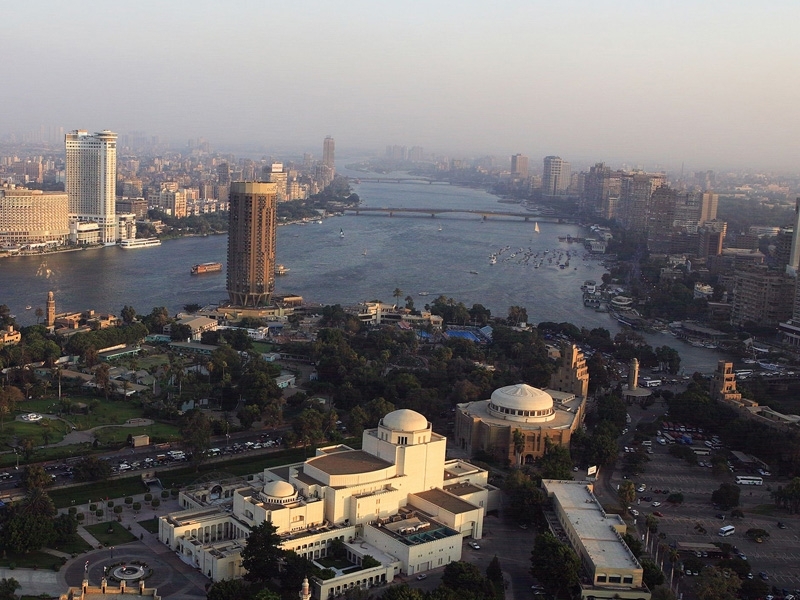 Cairo consists of 2 main Governorates, that of Cairo and Giza with an estimated population of 66 million citizens and the largest City in the Middle East. 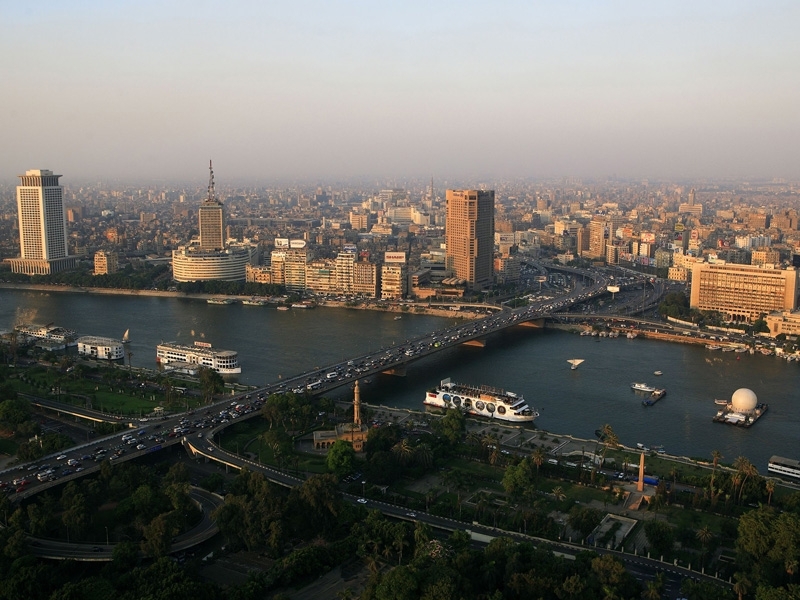 Along with the main central areas of Cairo and Giza, there are now many huge urban areas springing up which stretch great distances taking over 1 hour 30 minutes to reach some of them. 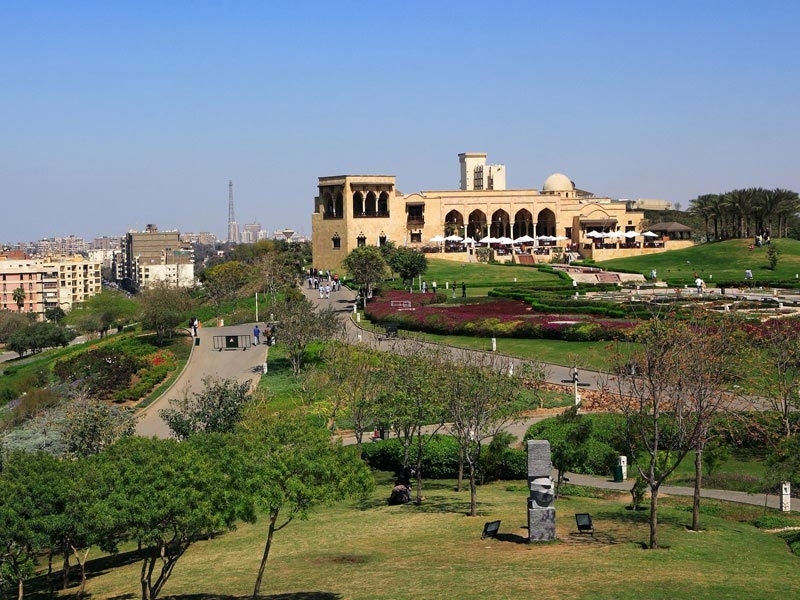 Here you will find areas known as New Cairo, Greater Cairo, New Giza and more, hosting many upmarket residential areas with Villas and Condominiums, swimming pools, sporting clubs, parks and shopping malls. 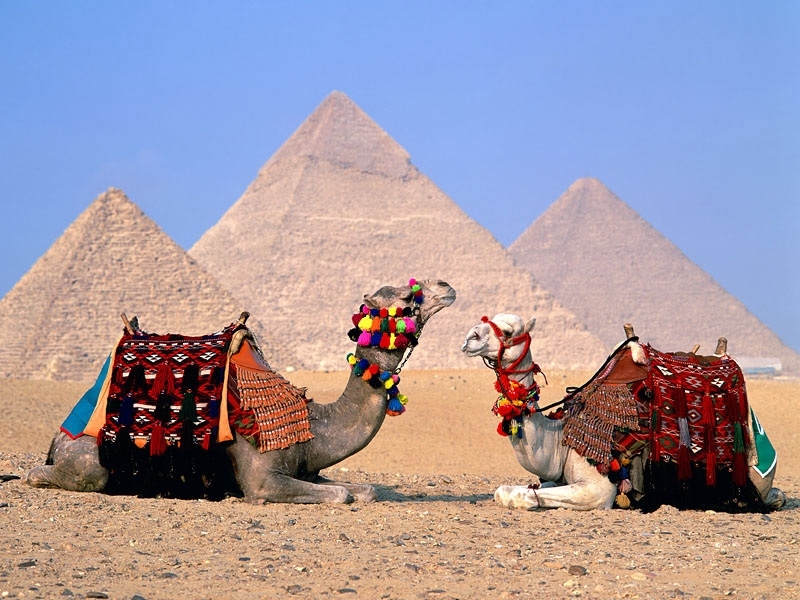 you can visit Cairo though our Egypt Tours. As central Cairo is of such huge proportions and dimensions, it is understable that life in such a populated City can be very crowded during the regular hours of each working week. 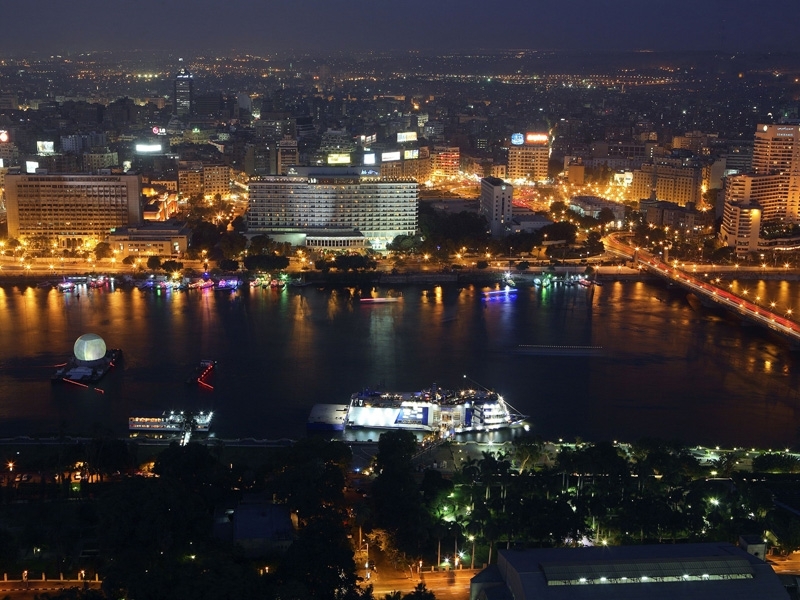 However, a diverse range of nationals choose to come and work, reside, and live there as there is so much to offer.On the weekends, most Cairenes (who are often living in Cairo for work purposes),tend to either travel out to their original Cities which are generally with a 2 hour distance, or stay in Cairo with other family members or friends. Those who choose to stay in the City are usually found frequenting the local coffee shops and restaurants with the men watching football which is an Egyptian passion and tradition. On Holiday periods, many choose to travel to either Port El Sokhna which is a beach resort just 2 hours from Cairo, or the Red Sea resorts with their families and friends. 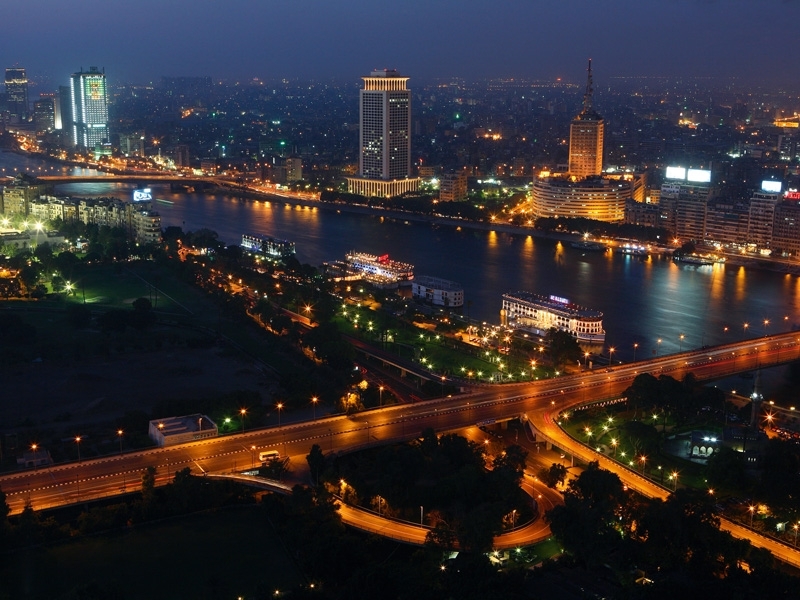 However, Cairo is a working and business City with most Egyptians dedicated to their daily work schedules which are often long and late into the evenings. 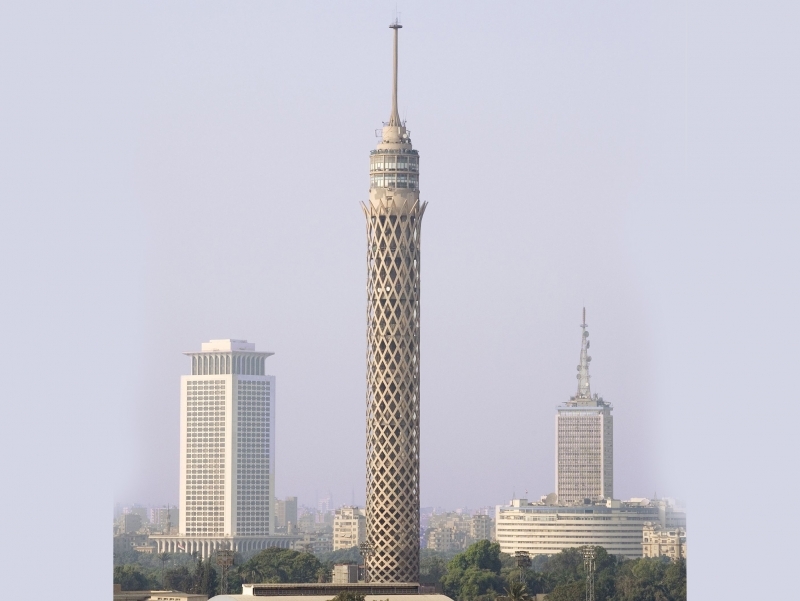 As everyone knows, the first thing anyone thinking about when visiting Egypt is Cairo and the Pyramids. The ancient Pharaonic History sites of Egypt are still the most visited attractions in all of the Middle East and North Africa. 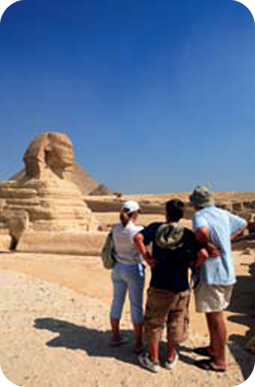 Besides the usual attractions within the City such as the Pyramids, Sphinx and Egyptian Museum, there are many more sites of interest to explore for the hungry visitor wanting to see more of this vibrant City. 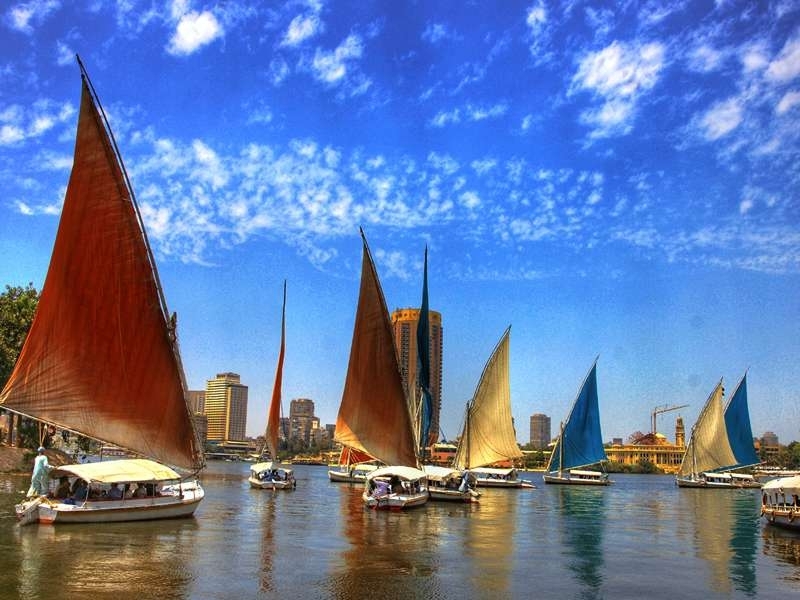 A lovely option in the evenings is a casual sail along the Nile in Cairo on a river cruise boat enjoying the delightful views of the City at night, along with a delicious dinner and on board entertainment such as traditional Egyptian folk music, singing and belly dancer. The Opera House in Cairo has been a popular attraction for visitors and locals alike since 1988 and is the Capitals main centre for Arts and culture offering a wide variety of shows and performances both Musical, cultural and plays. It sits on leafy Gezirah Island which also has many upmarket restaurants, cafe’s, and is a local hangout for many foreigners and well to do Egyptians. Besides the most famous sites in Cairo, there are many more attractions to visit with histories of different time periods throughout Egypt’s long journey through time. Midan Tahrir is the busy heart of Central Cairo, and it is here where there are numerous shops, cafes and restaurants in streets such as Qasr el-Nil. 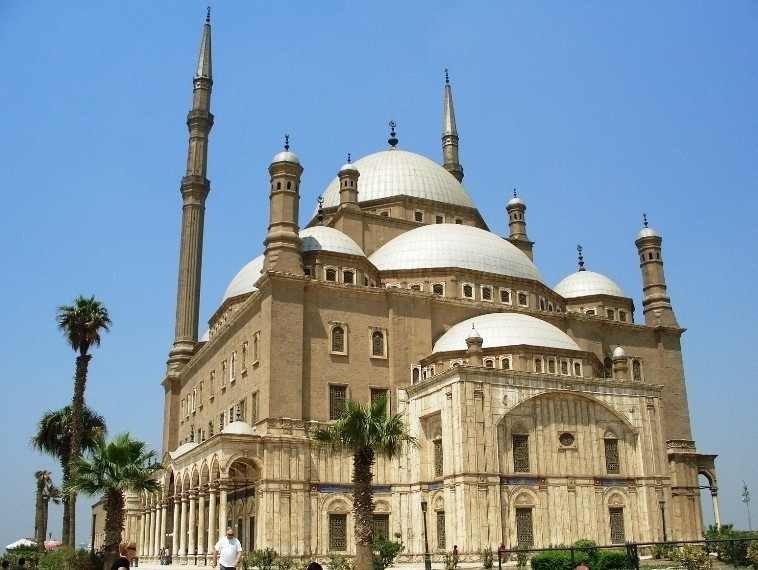 There’s also the American University housed in a grand neo-Islamic building, plus the city’s absolute ‘must do’ attraction, the Egyptian Museum. You can reach it via the Sadat subway station. 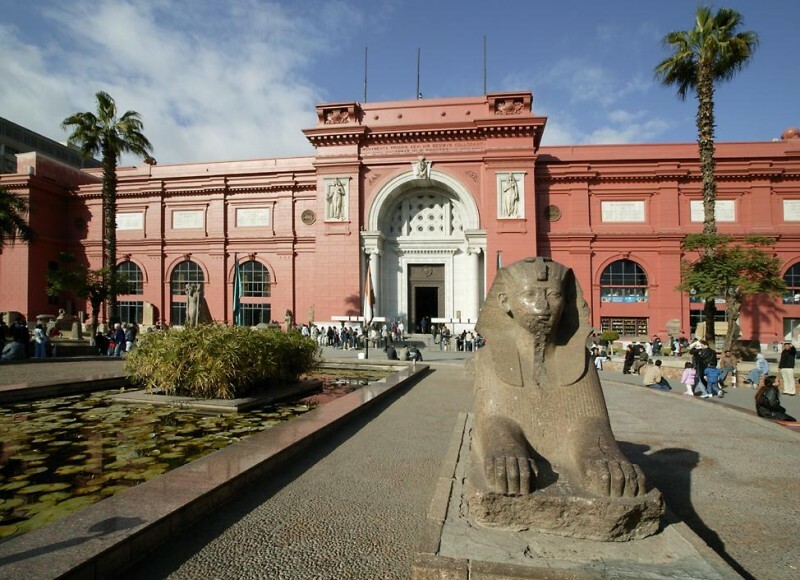 Housed in a neo-classical building colour washed in pink, it is the home of the largest collection of ancient Egyptian antiquities in the world. 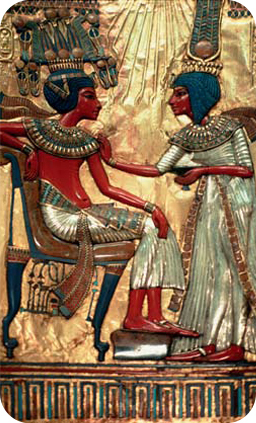 In fact, it is said there are around 120,000 pieces on display, including mummies, numerous sarcophagi and, of course, the world famous Tut Ankh Amum (Tutankhamun) collection of gold and alabaster treasures found when the boy pharaoh’s tomb was discovered in 1922. You can also see a replica of the Rosetta Stone in the foyer as you enter the museum. The original was discovered in Rosetta, Rashid, on the north coast and was The Citadel instrumental in deciphering hieroglyphics, the ancient Egyptian form of handwriting that dates from before Pharaonic Egypt times. If visiting the museum you can book a guided tour or purchase a book and wander around at your own pace. Allow several hours or, if a dedicated Egyptologist, many days. 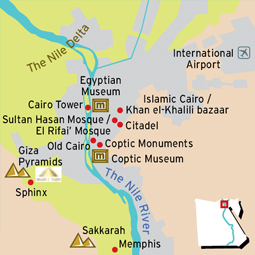 East of Central Cairo is the Islamic part of the city, while to the south is the oldest. Full of atmosphere and charm, they both are characterised by narrow streets and labyrinths of tiny alleyways and lanes, ancient architecture seen on mosques and churches, and residential streets that stretch for several kilometres into the distance. Khan el-Khalili, the famous network of streets that make up the largest bazaar in the Middle East, and one of the oldest markets in the world, is in the Islamic part of Cairo. It was built by Emir Djaharks el- Khalili who created a khan, a caravanserai for traders. From as far back as 1382 traders have plied their goods of gems, gold and silver, copper and highly scented spices. Today, similar items can be found although they are joined by trinkets more suited to holidaying visitors looking for a souvenir to take home. To wander around the bazaar is fascinating, and good fun. Nearby, is the great Mosque of Sayyidna al-Hussein, considered the holiest site in Cairo, which is well worth seeing, along with the fabulously old Mosque of al-Azhar, the Mosque of Ibn Tulun, the 12th century citadel built by Salah El Din to protect the city from invaders, the Mosque of Mohamed Ali on the Citadel and the Wikalat al-Ghouri, a medieval former caravanserai that now houses an arts and crafts centre. 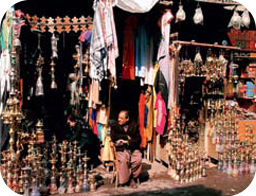 The Islamic part of the city is generally bustling, but is a key area for visitors new to Cairo to experience. To the west of Central Cairo are the Pyramids of Giza on the Giza plateau, not far from the site of the ancient city of Memphis and Saqqara. 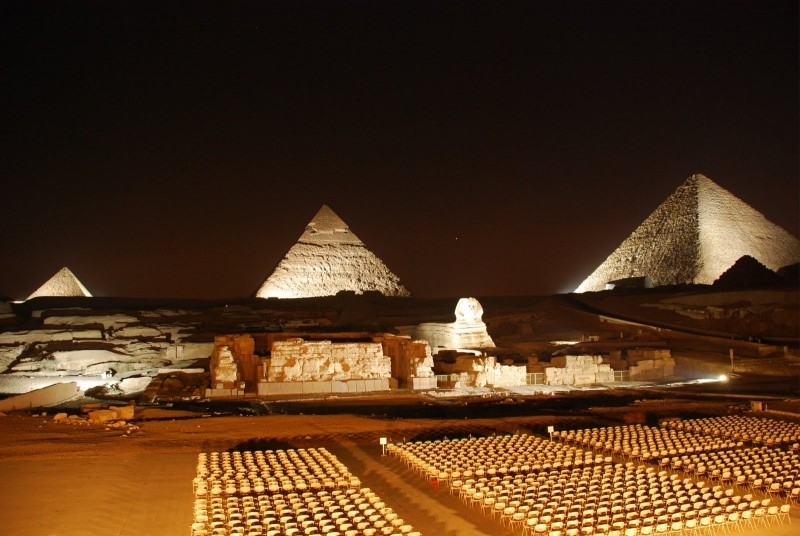 The last remaining Seven Wonders of the Ancient World, the pyramids are the iconic image of Egypt. 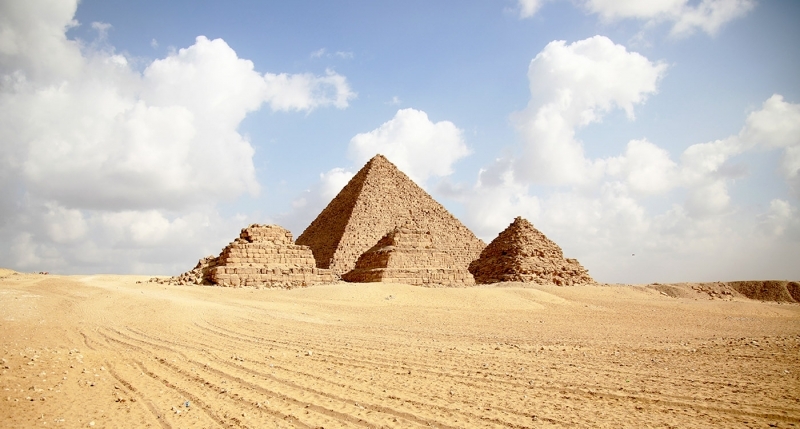 You can visit the Great Pyramid built for King Khufu of the 4th dynasty, the slightly smallerPyramid of Khafre dated from around 2500 BC and the Pyramid of Menkaure. Dotted around are several smaller pyramids where members of the kings’ families would have been entombed. 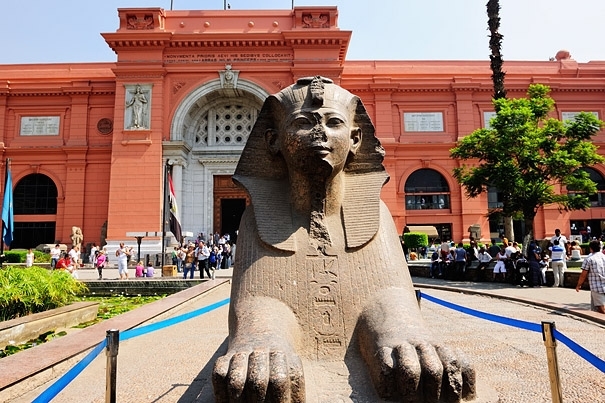 To one side stands the much-photographed Sphinx with its body of a lion and the head of a human, while a short walk away is the Solar Boat Museum that houses a full-size ancient Egyptian boat that was discovered in pieces but put together again with much care. It is fascinating to see. Saqqara complex of pyramids and monuments, the centrepieces of which are the Step Pyramid of Djoser and the Pyramid of Sekhmket, along with the city of Memphis that during much of the Pharaonic Egypt period was the capital city. While the Pyramids of Giza and the beautiful Sphinx that ‘guards’ them date from Pharaonic times and are one of the oldest monuments in the city today, Old Cairo, or Coptic Cairo as it is known, is where the city actually began. 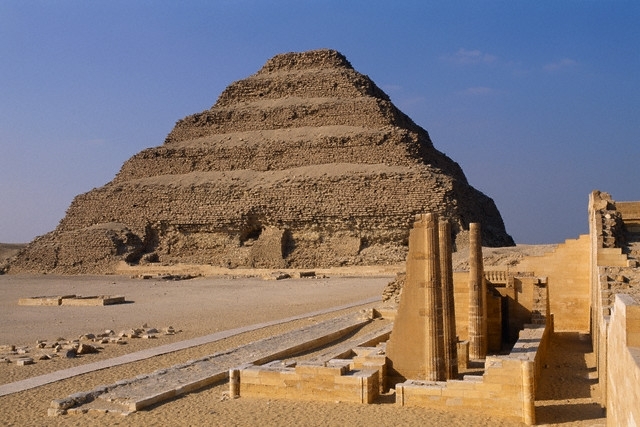 In fact, the area, along with Memphis, Saqqara and Dahshur, predates the city as we know it today. Old Cairo was founded in around the 6th century AD, at a time when Alexandria was the capital of Egypt and the Pyramids and Sphinx lay way beyond the small community’s boundary. Then the site that was to become Cairo was little more than a few dwellings on the banks of the Nile and a Roman fortress that guarded the route between the ancient cities of Memphis and Heliopolis. 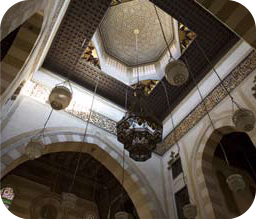 As the stories go, an Arab general, Amr Ibn al-Aas, decided the area was a good spot for establishing a much larger community and began to construct homes and places of worship. The community grew and grew at a time when the country was predominately Christian. Today, some of the most historic and important Christian buildings and churches in the city can be found in the narrow little alleyways and streets of Coptic Cairo. 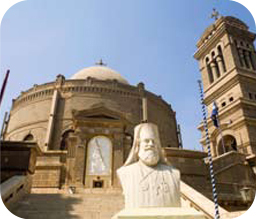 Be sure to visit the Church of St Barbara, one of the largest in Egypt, is still used regularly for worship. Other buildings to look out for in this area are the Church of St George, the Church of St Sergius, which is the oldest church in Coptic Cairo and lies a few feet below street level, the Ben Ezra Synagogue, the Amr Ibn al-Aas Mosque andthe beautiful Hanging Church, so called because it is built high on top of the old Roman fortress structure, the Babylon Fort. A splendid building, it has a distinctive front façade with twin bell towers and inside a vaulted roof and a series of columns. The Coptic Museum tucked away down one of the alleyways not far away is well worth a visit too. It hides a lovely courtyard garden behind its walls, which is a quiet place to visit amongst the hustle and bustle of Cairo. Look out for the delicately carved mashrabiya windows. Inside, the museum offers a surprise at every turn. With one of the finest collections of Coptic art in the world, it covers the periods from Pharaonic times through to Graeco-Roman and Islamic. On display are pulpits, ancient textiles and embroidered silks, icons, manuscripts and ceramics. Cairo’s history is wondrous. It has seen pharaohs, Christians and Islam followers, and has also been the seat of the ruling Royal dynasty, the Fatimid Caliphate, the capital during the Mamluk and Ottoman periods, and the centre of Napoleon’s empire when France occupied Egypt in the 18th century. It retained its capital city status under British rule until Egypt became independent in 1922.